The previous post on phase noise discussed about finding the root mean square phase noise for a given phase noise profile . 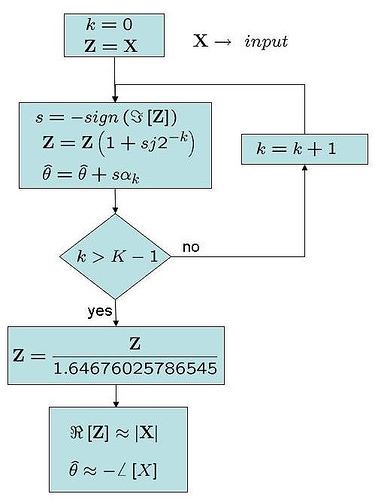 In this post let us discuss about the impact of phase noise on the error vector magnitude (evm) of a transmit symbol. 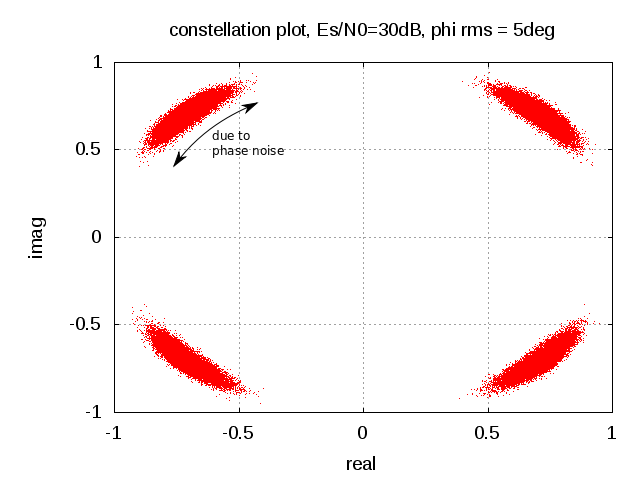 Consider a system model introducing a constant phase offset and thermal noise as shown in the figure. 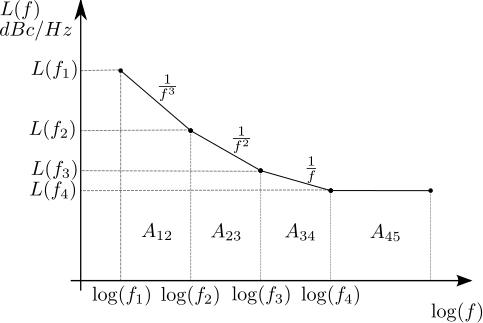 iv) , the variance of the noise. 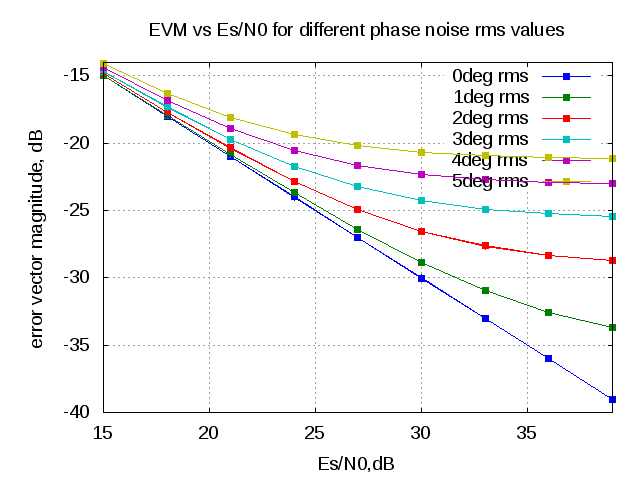 Attached script computes the evm of a QPSK modulated symbol versus Es/N0 for different values of rms phase noise. As a quick rule of thumb, for a system with rms phase noise of 1 degree, the evm due to phase noise alone is -35.16dB and rises by 6dB per octave (or 20dB per decade). 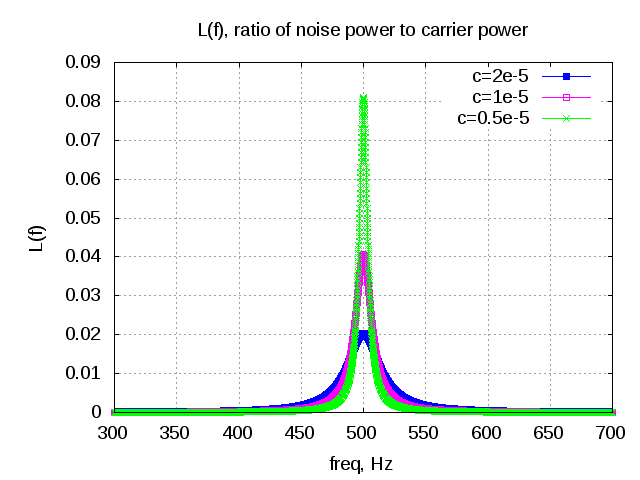 The phase noise profile used in this simulations assumes a Gaussian distributed flat spectrum, which is not the case in typical phase noise profiles. 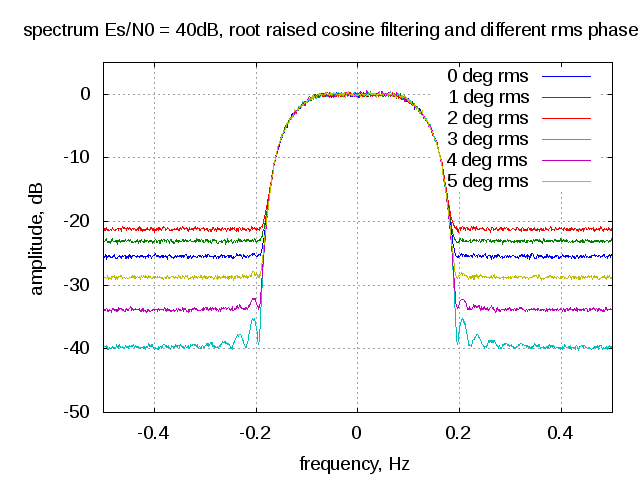 The EVM with a classical phase noise profile will be discussed in another post.